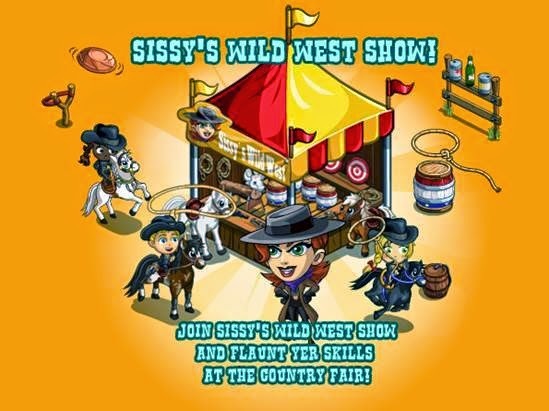 Get the ropes, bullets and tackle ready, it's time to put on a Wild West Stunt Show with the newly reformed Sissy Gratchett! 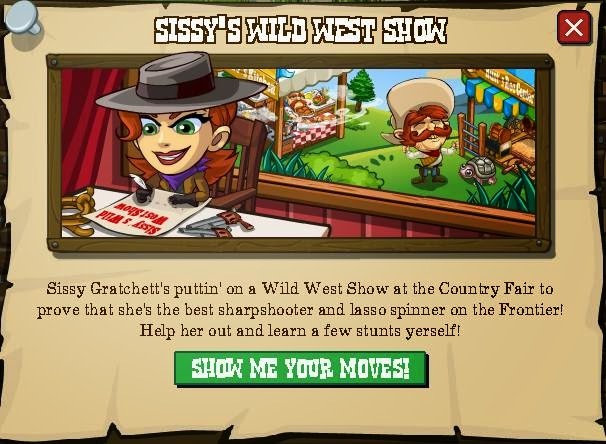 Yes, it's time for the Gratchett lady to get her chance at showing just how far along she's come by training our homesteaders in special Wild West Stunts for the Country Fair! If we can learn the Stunts perfectly we'll get to enjoy a new boost, some great crop-dropping decorations and new badges! 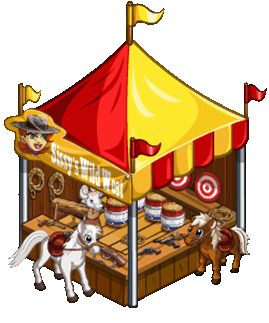 This will kick off a five mission thread with a Monday Wrapper (all details HERE) and a four step build, the Wild West Booth for the Fair (all details HERE). 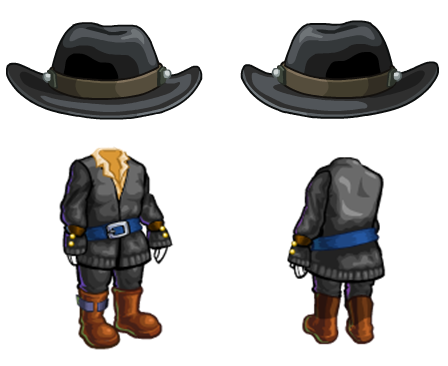 Those, when healed, will drop a stunt crate that matches to their type, Sharpshooting, Horse Riding or Lasso... err, Lassoing. Then... (Still with us? There's a test later...) just like the various fish tanks were combined into stacks, one of each stunt will be combined to make a Super Stunt! (Decorations with some nice drops). ...and the other three are for items we've already had, feeding Goats or Sheep, Feeding Cows or Pigs and fishing in the "traditional" fishing locations, so anything that's actually fishing.